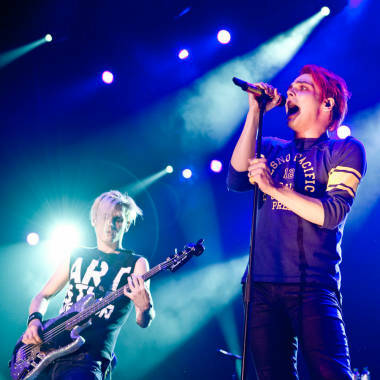 Mikey Way and Gerard Way of My Chemical Romance in 2011. Alternative rock group My Chemical Romance announced on their website on Friday that they were calling it quits after 12 years. The punk-popsters from New Jersey had played together since 2001, recording four studio albums and notching up an international hit with "Welcome to the Black Parade" in 2006. In a statement, they said being in the band "has been a true blessing" that allowed them "to see and experience things we never imagined possible." "We've shared the stage with people we admire, people we look up to, and best of all, our friends. And now, like all great things, it has come time for it to end." The group thanked fans for their support and "for being part of the adventure."